For many NGOs wanting to support implementation of ECtHR judgments, the Strasbourg judgment execution process presents daunting challenges. Although there is accessible information about the outlines of the process and the general role of NGOs, engaging effectively requires much more: a detailed understanding how the process works, (for example, how cases are categorised, the differing procedures under which they may be treated, the different stages of the process), and a clear grasp of what to say and when to say it. Without this understanding, NGO submissions can lack impact, even for such basic reasons as including the wrong type of information or the information being submitted too late. EIN’s new handbook is an important step towards demystifying the process. Prepared with the benefit of input from experienced NGOs during implementation training workshops and with detailed technical advice by the Department for the Execution of Judgments, it provides comprehensive guidance for NGOs, injured parties and their legal advisers. It sets out both a clear description of the Council of Europe’s supervision procedure, and a detailed step-by-step guide to how NGOs and injured parties can engage with this procedure most effectively. There is wide concern that in many Council of Europe member States implementation of ECtHR judgments is all too often inadequate. NGOs have a vital role to play in improving the quality of implementation. But, in part because of the “black box” that has existed around the judgment execution process, NGOs have intervened in only a small fraction of cases. 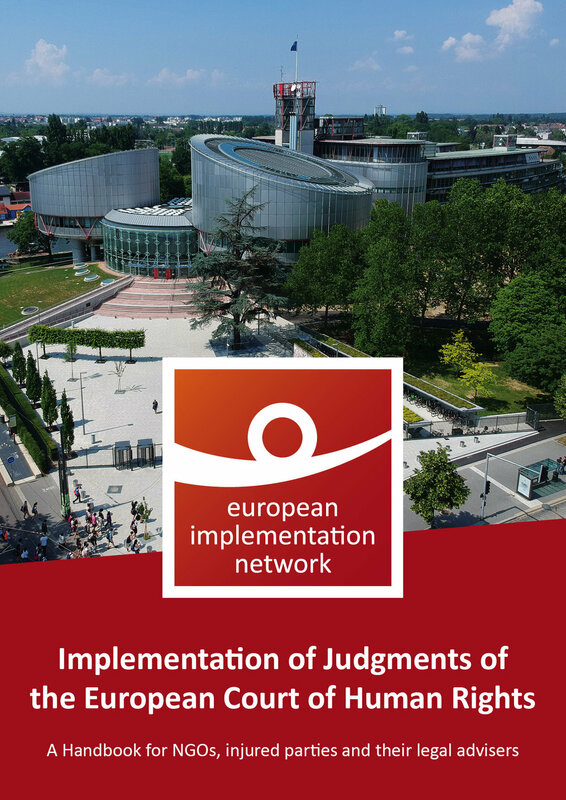 EIN hopes that this handbook will enable a significant improvement in both the quantity and quality of submissions by NGOs and thereby make a real contribution to improving implementation of ECtHR judgments.